offered elsewhere. The honeys we have chosen are simply the best of the best! Out of stock with our wildflower so here’s a better choice! 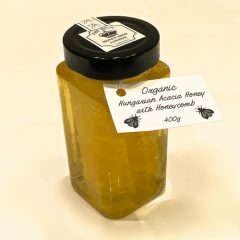 Very popular as you get both runny honey and honeycomb in one jar! A big 400g jar of Hungarian ORGANIC Acacia Honey with a big chunk of Acacia honeycomb. What more can we say. Best of both worlds- bit of honey and scoop from the centre for a chewy comb delight. Each jar is filled with Organic Acacia honey containing a thick chunk of honeycomb! The wax comb is all edible, and is made by the honeybee from nectar. NOT Pasteurised NOT micro filtered! NO added water, NO added sugars! Just PURE 100% honeybee nectar. Serving Tips: Spoon the runny honey from the side of the jar for teas & coffee. Scoop the comb out and put on hot toast, muffins, cereal, ice cream, fresh fruit, pancakes or eat it straight. 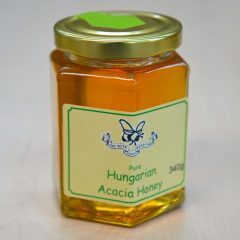 Hungarian Acacia Honey is runny clear light in colour, with a very light sweet candy like flavour. Perfect over yogurt, hot cereal, puddings, cooking with or in teas and coffees as it would over power the hot drink. Limited. NOT Pasteurised NOT micro filtered! NO added water, NO added sugars! Just PURE 100% honeybee nectar. 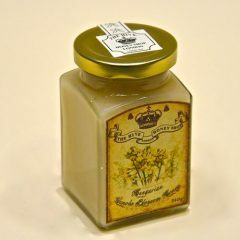 Canola Honey naturally creamy set in texture with a clean not too sweet taste. Yummy on toast, muffins, over ice cream, fruit and cereal. I love a spoonful over porridge. NOT Pasteurised NOT micro filtered! NO added water, NO added sugars! Just PURE 100% honeybee nectar. 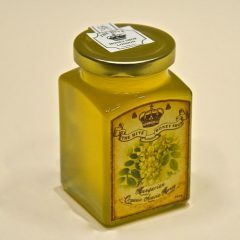 Hungarian Linden Honey is soft set lightish in colour, with a rich honeycomb flavour. This is the nectar from broad lime trees, not citrus lime trees. Amazing honey. Limited. NOT Pasteurised NOT micro filtered! NO added water, NO added sugars! Just PURE 100% honeybee nectar. 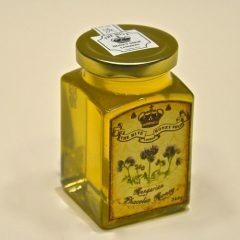 Hungarian Phacelia Honey is runny clear yellowish in colour, with a very delicate butter rounded flavour. This is an annual herb which grows erect to a maximum height near 100 cm. Phacelia is derived from Greek and means ‘bundle’, in reference to the clustered flowers. It was originally native to the Southwestern United States and northern Mexico, but it is now used in many places in agriculture as a cover crop, a bee plant, an attractant for other beneficial insects. 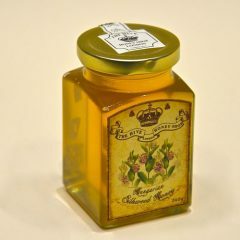 Hungarian Silkwood honey is runny amber light in colour, with a full honeycomb flavour. RARE Limited. NOT Pasteurised NOT micro filtered! NO added water, NO added sugars! Just PURE 100% honeybee nectar. 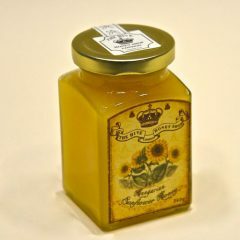 Hungarian Sunflower Honey is creamy thick bright yellow in colour, with a wonderful icing like texture and summer flavour. Sunshine in a jar! Perfect on hot muffins, wholemeal toast, hot cereal, puddings or fruit and ice cream. Limited. NOT Pasteurised NOT micro filtered! NO added water, NO added sugars! Just PURE 100% honeybee nectar. 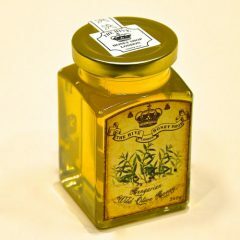 Hungarian Wild Olive Honey is runny clear yellowish in colour, with a light herby honey flavour. Perfect over yogurt, hot cereal, puddings, cooking with or in teas and coffees. Limited. NOT Pasteurised NOT micro filtered! NOT Pasteurised NOT micro filtered! NO added water, NO added sugars! Just PURE 100% honeybee nectar. 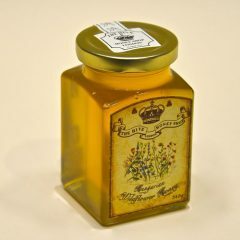 Hungarian Wildflower Honey is runny clear light amber in colour, but surprising in flavour. Not to be confused or compared with supermarket honey- this is special. NOT Pasteurised NOT micro filtered! NO added water, NO added sugars! Just PURE 100% honeybee nectar. Great intense raw honey from Greece. A really nice Greek guy and his partner came in the shop and we hit it off. They have beekeeping friends in Greece and were happy to bring a few jars to us each time they travel back home. We sampled it and knew it was high quality, so we said YES! Very limited. Great rich intense flavoured raw honey from Greece. Gathered by bees in the high pine forests. Dark green in colour. A really nice Greek guy and his partner came in the shop and we hit it off. They have beekeeping friends in Greece and were happy to bring a few jars to us each time they travel back home. We sampled it and knew it was high quality pine honey indeed! A classic honey. Always runny, very pale yellow, almost clear. A very tasty honey. Not too sweet, with a very light gentle taste.